For book lovers, there’s no such thing as too many books. Unfortunately, there is such a thing as too little storage. When your nightstand is piled high with books that may very well fall and crush you in your sleep, it’s time to reevaluate. 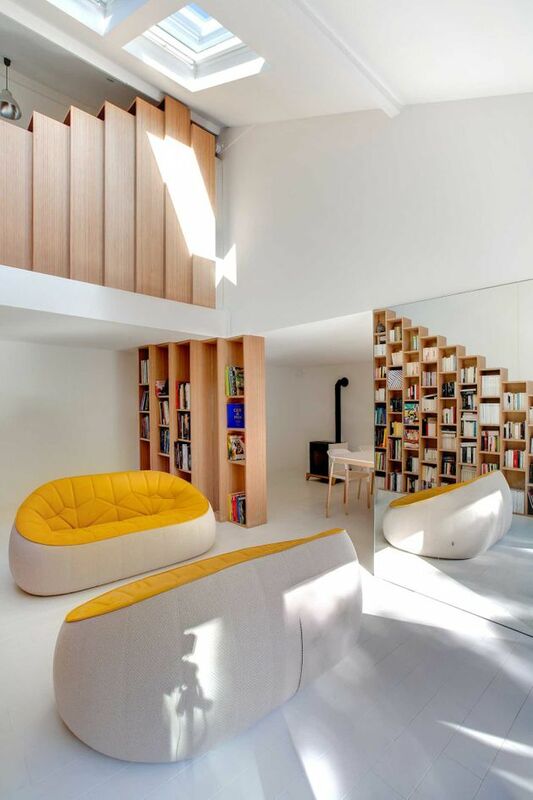 If you’re looking for storage inspiration, look no further than this “Bookshelf House.” Located in a suburb outside of Paris, the home utilizes books as the main decor element. Frankly, it’s a bookworm’s paradise. 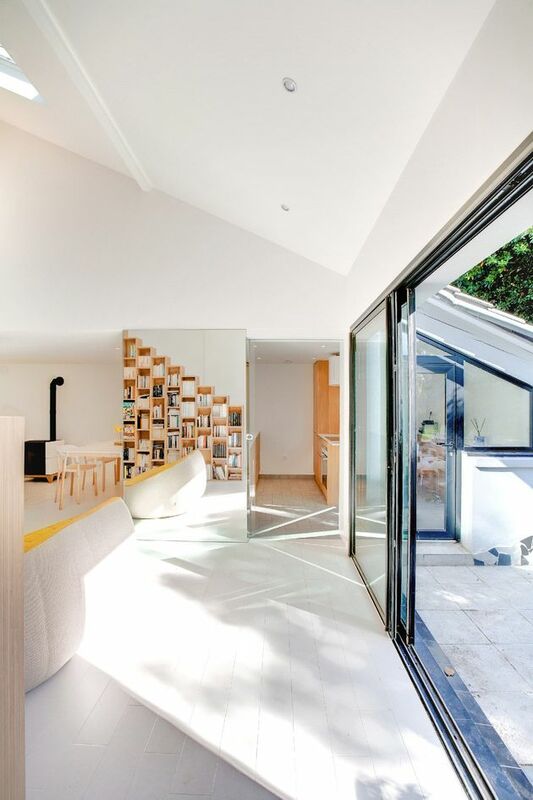 The home got its bookish upgrade from designer Andrea Mosca, who received one major request before commencing work: He had to incorporate a massive bookshelf. “After some tests, I decided to imagine a standard bookshelf element that could populate the space, playing different roles when needed,” Mosca told The Huffington Post. 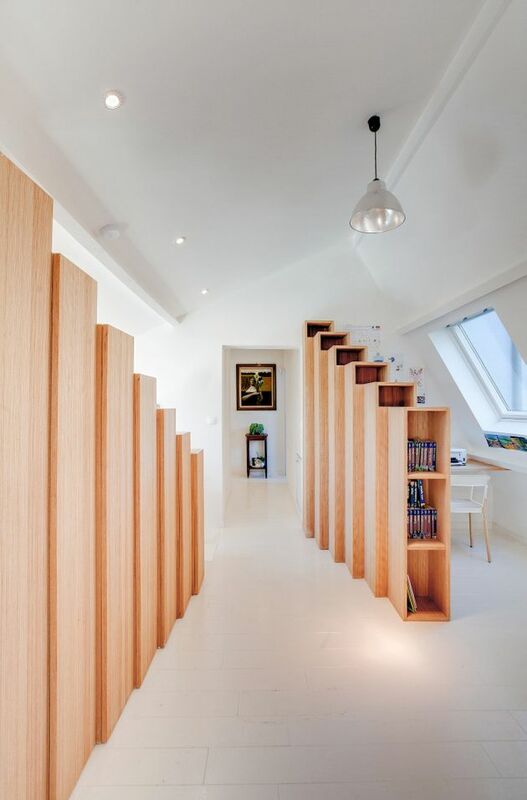 The bookshelf acts both as a railing for the staircase and as a separation wall. Bookshelves continue onto the second floor, where they divide the home office from the hallway. 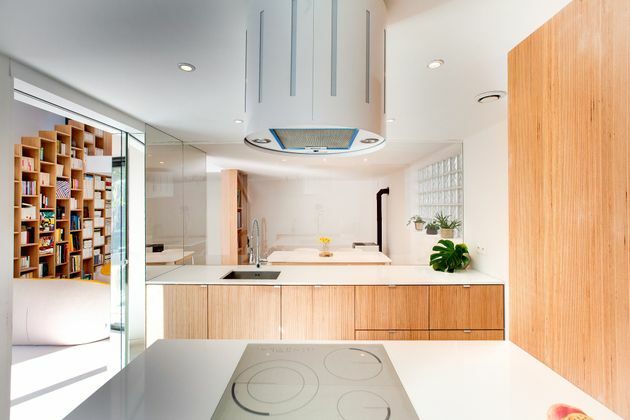 Throughout the renovation, Mosca worked to create a brighter, more modern space. Now, the Bookshelf House is flooded with natural light. Check out more photos of this book lover’s dream home below.